Spoilers for Blade Runner(1982) and Blade Runner 2049 lay ahead! Creating sentient beings and exploring exactly what might happen when the human race finally cracks the code to create new life is one of genre cinema’s favorite past times. Ever since the idea was first realized on film with 1927’s Metropolis, writers and storytellers have become obsessed with the potential of man’s ability to create life. Whether the artificial life is ensuring its own survival like Hal in 2001: A Space Odyssey, the menacing T-800 killing machine in The Terminator, a romantic interest like Samantha in Her, or an honest servant fulfilling its program like Gerty in Moon, AI as a concept presents countless narrative opportunities and themes to explore. In its 90 year history on the big screen, few films have explored the idea of artificial intelligence more thoughtfully than Blade Runner and its recent sequel Blade Runner 2049. The Blade Runner films examine the deepest and most troubling ethical questions about mankind’s relationship with its creation by suggesting that humanity is not an exclusively human trait. The Blade Runner films examine the deepest and most troubling ethical questions about mankind’s relationship with its creation, suggesting that humanity is not an exclusively human trait. Ridley Scott’s 1982 Blade Runner has become a classic, in part because of its unique cyberpunk dystopia and more introspective take on robots in science fiction. The extra-human machines look and act like people, but only live for a few years as servants to their owners before hitting their expiration date. The film features a group of rogue replicants led by Roy Batty(Rutger Hauer) who are on a mission to meet their maker in an attempt to receive more life from the inventor of the replicants, Eldon Tyrell. On their journey, they must overcome a number of obstacles, including Deckard’s (Harrison Ford) expert Blade Running. Deckard may be the point of view character in the film, but upon closer examination, it’s easy to interpret Roy Batty’s coming to terms with his own finite existence as the film’s most important story arc. When Roy finally meets his maker, Tyrell simply explains that death is a part of life and due to their programming, the life expectancy for replicants is short. When Roy finds this answer less than satisfying, he reacts emotionally and turns on his master, brutally murdering him. Despite his successful efforts to prove the impossible and meet his creator, Roy is still unable to bring the fire of life held greedily by the Tyrell Corporation down from the mountain of Olympus to his people. In a moment when Roy should be at his most unstable, he turns back to his kin for comfort, only for Deckard to arrive and take them away from him. In his final act, Roy, a product of Tyrell’s depraved human nature, defies his innate programming by selflessly rescuing Deckard’s life. This moment makes it clear that Roy is more than just a replicant, but has actually found a deeper form of humanity than was present in his creator. The compassion he shows in his final moments reframes the entire story and could even qualify him as something more than human, a tragic hero. The original film left us with many ponderous questions about AI 35 years ago. Was Roy innately human from the moment he was assembled or did he learn empathy and pain through his years of slavery and violence? The answers were never clear and remained up for debate. The replicants in the first film were aware of their limitations before the movie even started, leaving finite answers off of the table. That is until Blade Runner 2049. 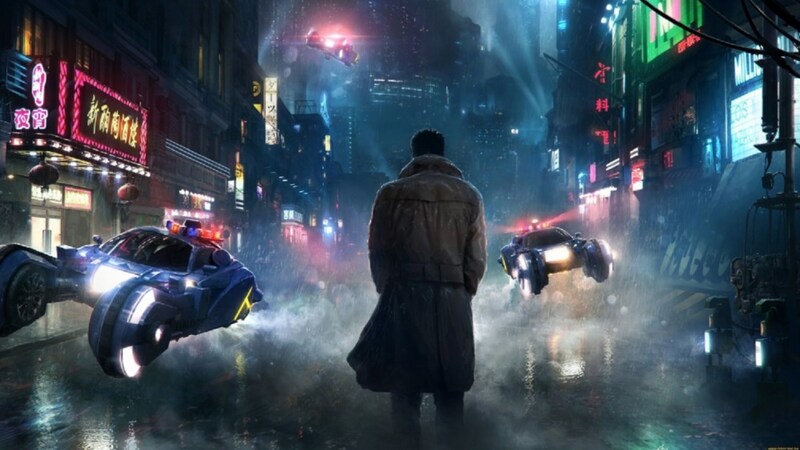 The long-awaited sequel may not follow the same characters, but it does pick up on several of the same themes by making the main character, K (Ryan Gosling), a replicant who’s unknowingly on a journey to discover his own soul. K begins the film as a cold-blooded Blade Runner, taking orders every day from his Lieutenant (Robin Wright). That is until he stumbles upon a case that fundamentally forces him to question his own identity and role in Blade Runner 2049‘s dystopian future. The first inkling of his humanity is seen after he’s ordered to kill the child birthed from a replicant. K’s initial reaction isn’t to say no, but instead to hesitate and ask the question “doesn’t it have a soul?” The journey of finding his humanity thickens when he encounters the horse-totem he recalls hiding in the very same orphanage tied to the replicant-born child. What’s most noteworthy is that it’s not until he starts to believe that he is more than just a replicant that his perspective others and priorities change. K’s belief that he may be the messianic figure causes him to fail his next replicant baseline test, a sign that he’s no longer who he once was. Even though it’s later revealed the implanted memories of the totem do not belong to him, he’s still determined to feel deeper feelings of love and make decisions counter to what he was programmed to do. It’s only because he believed he was something more than a replicant that he was able to discover his desire to become human and ultimately, this leads to the purest demonstration of humanity he makes by sacrificing his own life for Deckard’s. In the same way Roy Batty makes his final act one of heroism, K also actively rejects his own programming to bring Deckard in and denies the replicant resistance’s command to end Deckard’s life. K creates a third and more compassionate option by reuniting Deckard with his long-lost daughter. “Who am I that you would do this for me?” Deckard asks. “Just go and see your daughter,” K says moments before collapsing in the snow. Whereas Roy had already discovered his inner-human before the first film began, we get to see K’s entire journey of self-discovery play out. And seeing K’s story adds some interesting twists to the philosophical questions that were left on the table by the first film. Is humanity innate at birth or is it learned throughout the dark and dirty experiences of life? That’s right, we’ve arrived back at the age-old theme of nature vs nurture. Who had it right, Plato or Aristotle? Blade Runner 2049 answers that question by suggesting it’s a little bit of both. While K’s desire to love and live life is discovered, it’s only because of the memories he’s programmed with by Deckard’s daughter, Ana Stelline, that he finds his desire for more in the first place. It was always in his programming to long for more, but only when confronted by the idea of a replicant born baby does he find out what his soul is capable of. Ana’s line “Every memory has a piece of its artist” suggests an even larger and more introspective idea about the depraved nature found inside all of us. Replicants are slaves programmed to serve humans and oftentimes commit acts of violence in the name of their masters. Their most despicable and endearing traits are reflected in their creators’ character flaws. If you follow the philosophy behind the creator of the replicants in 2049, Niander Wallace (Jared Leto), Replicants are “angels” whose sole purpose are to fulfill his will. His right-hand lady, Luv(Sylvia Hoeks) is nothing but a sociopath determined to meet her master’s demands by any means necessary. What does it say about humans that we create machines in our own image only to enslave them and force our will upon them? What does Siri have to say about it? If history tells us anything, it’s that humans wielding power have an unhealthy track-record and presupposition to enslaving those whom they perceive as inferior. Egypt, Rome, the United States, and countless other nations have enslaved people of different races, ethnicities or social status at some point in their history, and the Blade Runner films suggest that if we stay on our current course, we’re all but certain to fall into the trap as we move into a more sophisticated era of artificial intelligence. As programmers and developers continue to create more intelligent forms of AI, Blade Runner 2049 is challenging us to stop and ask ourselves about our own nature and history before we start asserting our own depraved image onto others. We are creators who are often woefully unaware of the cruelty of our own desires and intentions. Do humans possess the ability to create an artificial life that will reflect the more altruistic and pure aspects of human nature like Roy Batty and K? Or are the darker shades of our being represented by a thirst for power, violence, greed, and self-importance the traits we pass on? There have been hundreds of other films exploring AI, but few that are able to reach the same ideological depths represented by the replicants in Blade Runner 2049. Ridley Scott’s 1982 film set the stage for these depths by giving us Roy, a replicant who only wanted more life, only to use what was left it to save a broken man, Deckard. Blade Runner 2049 continues to expand on those same ideas by giving us K, a replicant who lays down his life to help redeem Deckard. The troubling ethical questions about our relationship initially posed in Blade Runner were able to find new life in the 2017 sequel and still remain more relevant than ever before. It’s only by learning the true compassionate nature of the misunderstood Roy Batty’s of the world that we can truly come to understand how we share in the brokenness of the Tyrells and Rick Deckards who can’t seem to shake their own corrupt devices. To read and learn more about the role of robots, androids and AI in cinema, keep your eyes locked on The Cinematropolis all October long.